I’m a cancer surviving, widow and mommy of an awesome 12 year old daughter. I started running after going through deep depression. I also wanted to get rid of the weight that I picked up due to the cortisone. One morning in one of my depressive state in September 2014 I woke up and drove to the Zoo where there was a race. I registered on the day and ran. Shoo I thought I was gonna die. I did my first 10km in almost 2 hours, chest heaving, coughing like an old smoking toppie paining in every possible place. I absolutely loved the feeling. 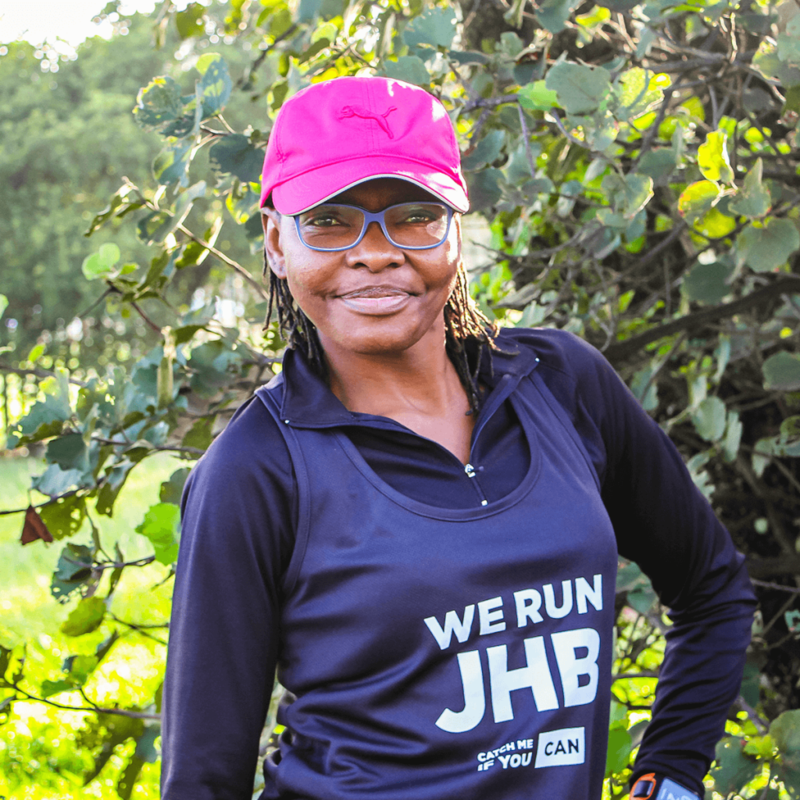 I ran my first 42km in January of 2015, not knowing what I signed up for. That same year in April I completed my first Oceans ultra. 2016 I lined up for my first Comrades at 5:30am, where I drove an unofficial bus. 11hrs52min later I crossed the finish line medal and badge in hand. The 3rd greatest day of my life. Download the App to join Shahieda’s Group Runs. … because it makes me very happy. … because I get exceptional when I lace up. … because it makes me de-stress. … because it’s my therapy. … because running is me and I am running. … because my daughter absolutely loves her happy running mommy.